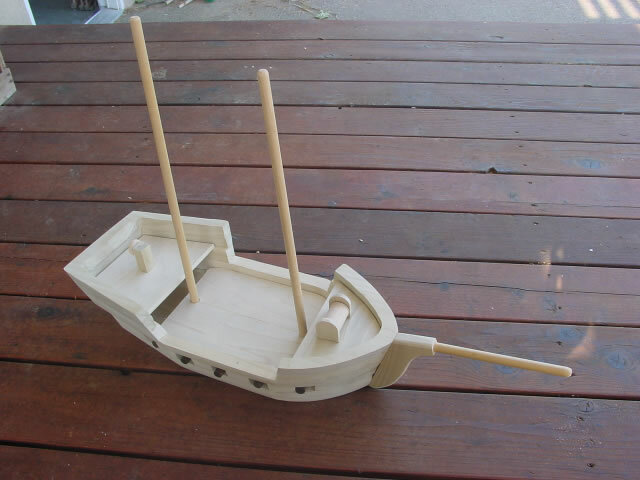 The masts consist of 1/2" dowels inserted in blocks glued to the hull bottom. They protude through the main deck just in front of the quarterdeck and behind the foredeck. They have a slight angle to the rear of the ship, just a few degrees. I cut a bunch of trapezoidal shaped pieces for the masts and went with the best two. 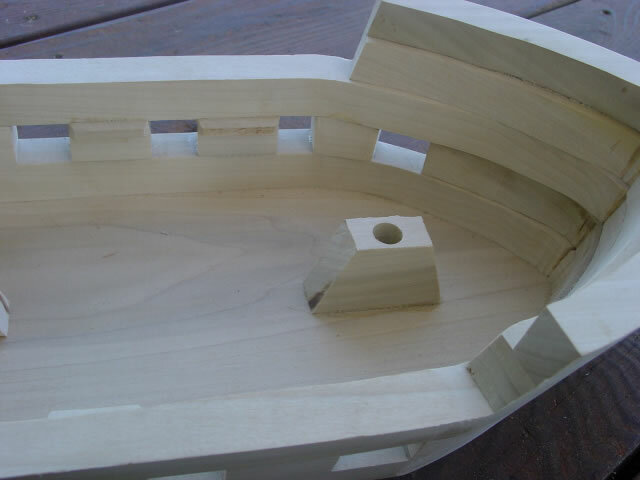 These must be cut to height exactly equal to two layers thickness of the hull (1 1/2"), as they double as supports for the main deck. They were adjusted to the centerline and positioned relative to the quarterdeck and foredeck. 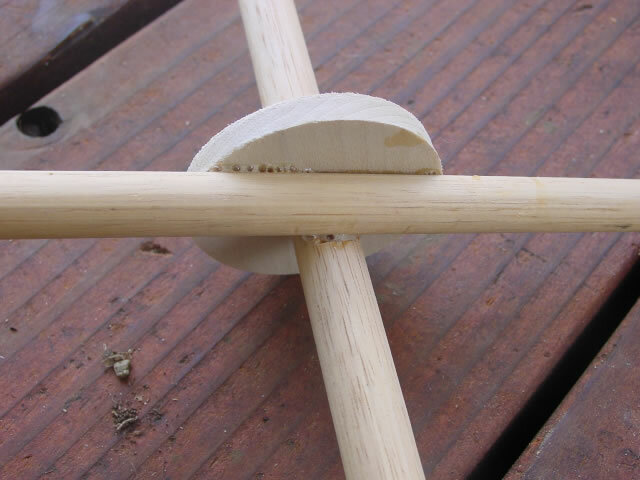 Insert the mast dowels or some shorter pieces to help make the adjustments. They are 7 1/2" apart, measured from center to center. The masts each have one spar and a disk for the crow's nest. 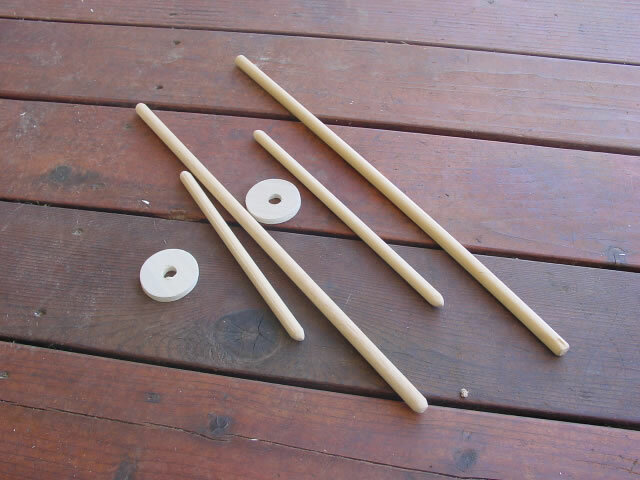 The masts are 1/2" and the yardarms 3/8" dowels. The front mast is 17" long, and the rear is 18 1/2" long. The crow's nests are 2" disks cut with a hole saw, and are 3" and 3 1/2" from the top. The yardarms are 8 1/2" and 10 1/2 inches. 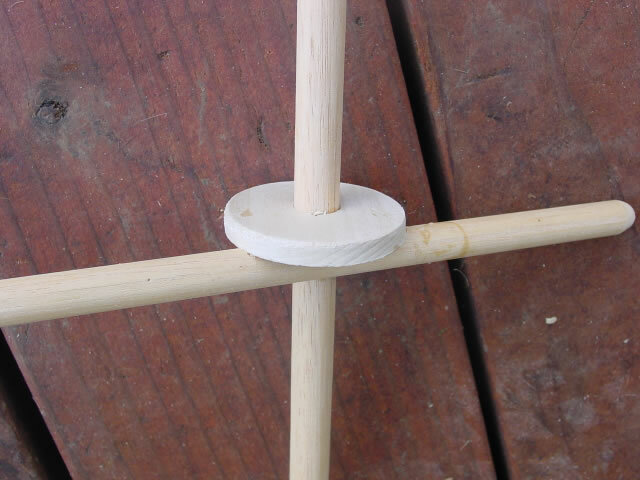 To join everything together, I cut a small notch in both the mast and yardarm so there is a flat surface for gluing. 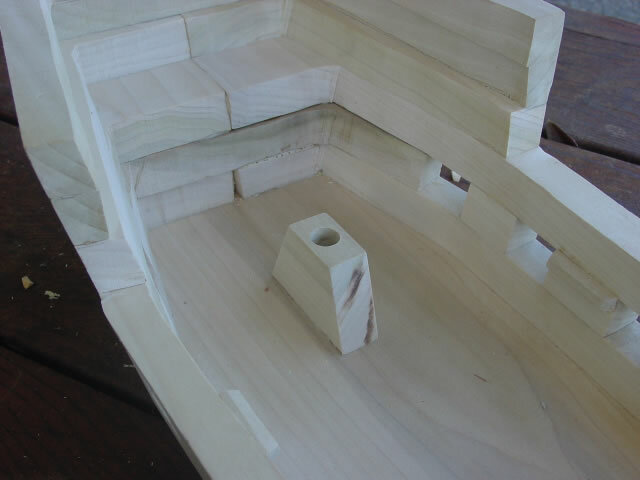 The yardarm is also flattened slightly under the crow's nest for gluing.